Paperback, 6.5 x 9.5 in. / 208 pgs / 50 color / 50 bw. 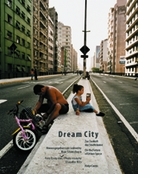 The ultimate goal of urban planning must always be utopian--to improve the lives of citizens, at work or at play. 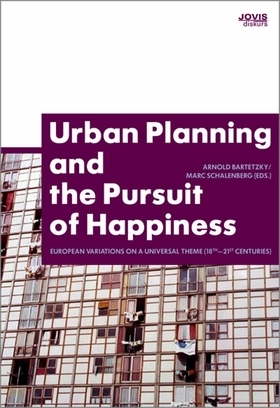 The course of history shows that notions of civic "happiness" as expressed in urban design can take many different forms, from Baron Haussmann's Parisian boulevards in the nineteenth century to the many urban experiments of the twentieth century. Not that the ideals of planners always match the needs of the inhabitants; as we know, all too often the opposite occurs, and the actual usages of urban space end up undermining the intentions of their original conceptions. 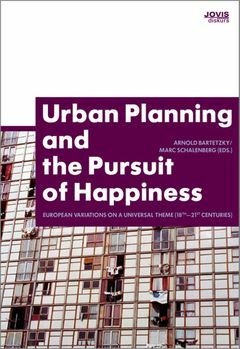 Urban Planning and the Pursuit of Happiness assembles 12 case studies culled from various countries and eras, from the Enlightenment to late Modernism, that compare the perspectives of state planners and users of urban space. FORMAT: Pbk, 6.5 x 9.5 in. / 208 pgs / 50 color / 50 b&w.